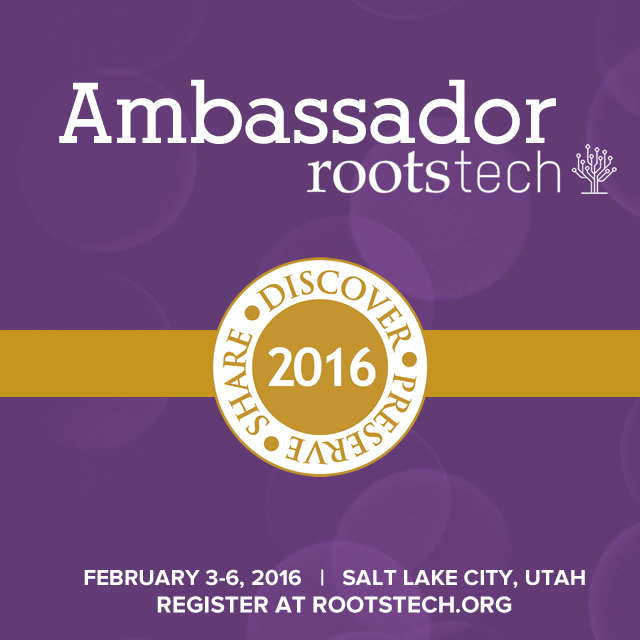 Tuesday’s Tip: Family Interviews by Jenny Lanctot, author of Are My Roots Showing? I also want to share this beautiful article with you. I hope you enjoy reading it as much as I did. I have very exciting news to share with you. A few months ago, I was contacted by a gentleman because he saw my genealogy blog while doing an internet search. It turns out that this gentleman is a cousin. This new cousin connection is quite a happy surprise for our family. This isn't a distant cousin connection. This is a close cousin connection. You'll see what I mean as you read further in this post. This cousin's name is Marco and he lives in Brazil. Marco left a comment on my personal blog's Facebook page. Here's a little bit of background so you know how Marco fits in my family tree. My regular readers will probably recognize the name of my great-grandfather, Watson (Frederick) Emory Webster. I refer to him as "The Traveling Dentist" here on my blog. Watson changed his name to Frederick sometime during his life. Throughout the rest of this post, I'll refer to him as Frederick. Carlota and Debs were the only children to survive to adulthood. With this background in mind, I'll explain what happened when Marco contacted me. He told me that his mother was a daughter of my great-grandfather, Frederick. I wondered if he was mistaken. As I mentioned, only two of Frederick and Esther's children survived to adulthood, my grandfather and his sister Carlota. In 1955, my grandfather traveled to Mexico to visit his sister Carlota and her family. And Marco wasn't one of Carlota's children. Well, through a series of emails in which Marco and I shared photos, documents, and information, it turns out that his mother is in fact a daughter of my great-grandfather, Frederick! It appears that late in life Frederick did have another child. And that child is Marco's mother. This means that my mother has a newly-discovered aunt (Marco's mother) and I have a newly-discovered great-aunt. And Marco is my mom's newly-discovered 1st cousin and my 1st cousin once removed. See? This cousin connection is a very close cousin connection. The photo at the top of this post was sent to me by Marco. 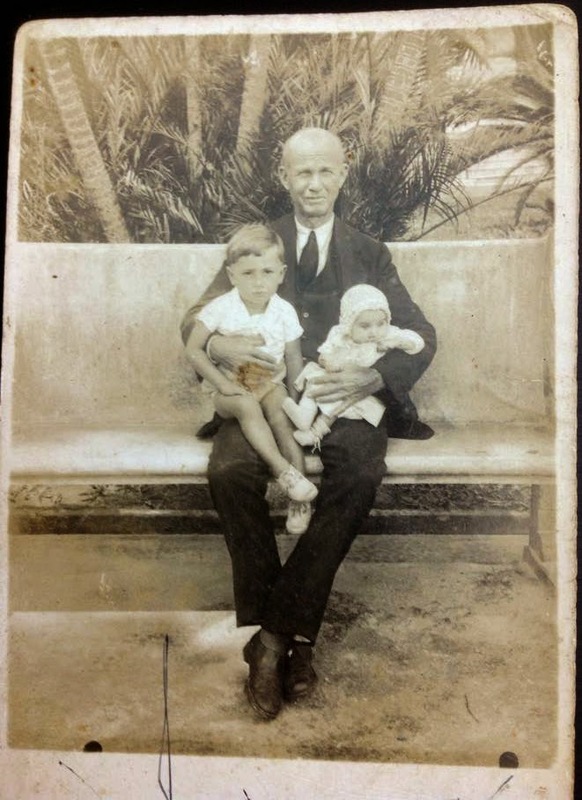 It's a picture of my great-grandfather Frederick holding Marco's mother (right) and a young boy (left). I wondered if this little boy was Frederick's child too, but Marco told me he was not Frederick's son. My mom and I are so excited about this new cousin connection. And we're so happy that Marco found my genealogy blog and contacted me. A new clue! by Debi Austen, author of Who Knew? Tuesday’s Tip: Heirloom.net by Jenny Lanctot, author of Are My Roots Showing? After Christmas, we spent about a week in Utah. We had so much fun spending time together as a family. Creating family memories is so very important. It turned out to be a very cold week. And when I say cold, I mean freezing. The temperatures were usually in the teens and twenties during the days. Yes. It was frigid. The air felt like refrigerator air. I live in an area that doesn't get snow. And our high temperatures in winter are pretty mild compared with Utah. So, it was quite novel for us to see it snowing and to spend a week somewhere with snow on the ground. We arrived on a Saturday and it snowed on Sunday and Monday. This is what we woke up to on Monday morning. This is my husband scraping our car…while it was snowing. He was heading out to a store. Brave man! Did I mention that we're not used to snow? Of course, I had to take pictures of the cold fluffy stuff. Especially from inside a warm house. Haha! The temperatures never rose above freezing that week, so there was plenty of time for ice to form on the ground. Unfortunately, at the end of the week, I slipped and fell on the ice. Yep. I did. Thankfully, it wasn't a hard fall. I was a bit sore, but I'm fine. And I'm so grateful for that. I'll be sharing more pictures from our trip to Utah in a future post. Last night I checked the FamilySearch Blog and got an amazing surprise. My genealogy blog was mentioned in the article FamilySearch’s Top 10 Most Searched Record Collections: Collection 1—United States Census Records, by Alivia L. Whitaker, dated January 9, 2015. A paragraph from a blog post I wrote about the 1940 U.S. Census was quoted as well. I am so incredibly honored, and actually a bit stunned, to be mentioned in an article on the FamilySearch Blog! Thank you so much Alivia for the mention! The FamilySearch Blog contains many wonderful, informative, and helpful articles. You can access the FamilySearch Blog by going to the FamilySearch website at familysearch.org. At the bottom of the FamilySearch home page you'll find the Blog's link. Here's a screenshot of the FamilySearch website. The red arrow is pointing to the link for the FamilySearch Blog. Just click on the link and you'll be directed to the Blog. Here's a close-up view so you can see the FamilySearch Blog link better. 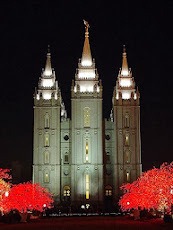 I hope you'll take the opportunity to read the many fantastic articles on the FamilySearch Blog. Note: I wrote my blog post that was quoted in the FamilySearch article back when I first began blogging in April 2012. My quoted paragraph in the FamilySearch Blog article contains two bracketed words, indicating corrections to those words in my original post. One word was an error and one was the use of the word "kinda" instead of "kind of" which does sound better. I've now corrected those words in my blog post. This just goes to show you that it's a good idea to revisit old blog posts to make sure there aren't any errors, especially if you are planning on creating a book from your blog, which I am planning on doing. 1) Determine how complete your genealogy research is. For background, read Crista Cowan's post Family History All Done? What’s Your Number? and Kris Stewart's What Is Your Genealogy "Score?" For comparison purposes, keep the list to 10 or 11 generations with you as the first person. 4) For extra credit (or more SNGF), do more generations and add them to your chart. 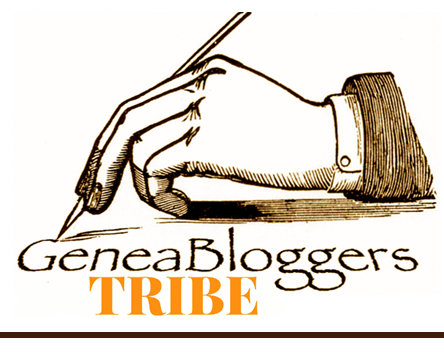 5) Post your table, and your "Ancestor Score," on your own blog, in a comment to this post, or in a Facebook Status post or Google+ Stream post. I thought this would be an interesting idea. I've seen this kind of thing before, but had never made an "Ancestor Name Chart" or figured out the "Ancestor Score" for my own family tree. Here's my Ancestor Name Chart. In order to make my Ancestor Name Chart, I created an Ancestor Book Report using my Legacy Family Tree database. I then created a PDF of the report and counted the ancestors in each generation. I put that information in the Excel chart (above). Like Randy, I chose to exclude ancestors who didn't have a first name. Through five generations the percentage stays at 100%. After that things start to go downhill. And my ancestral score isn't very high. I obviously have a lot of work to do. But, I suppose it could be worse. You see, I can't take the credit for finding all of the ancestors in my family tree. I was blessed to have inherited genealogy research from my father, Jan Iverson, a lot of which had been done by a professional genealogist many years ago. The professional genealogist was hired by my paternal grandmother, Ingrid Gillberg, to help us with our Scandinavian lines. I'm also blessed to have in my possession the excellent and very well-sourced three-volume family history books called Waterman Family, Descendants of Robert Waterman by Donald Lines Jacobus which provide priceless information about my Waterman ancestors. Even with all of the wonderful genealogy research I've been given, there is still so much more research that needs to be done. This fan chart from FamilySearch illustrates this. As you can see, there are holes in this chart that need to be filled. My mom is at the center of this chart. She's still living, so I blurred her name for privacy reasons. What about you? What's your Ancestor Score? After a two-week vacation, Fab Finds is back. I hope you all had a very Merry Christmas and a Happy New Year! Tuesday's Tip: City Directories May Contain Death Dates by Beth Gatlin, author of So Many Ancestors! 52 Ancestors Challenge: Week 52 Recap – We Made It! Last November my husband and I became grandparents for the first time. And we're so very excited! Our daughter and son-in-law welcomed a sweet new baby boy into their family. He's just so adorable. Because of this new and exciting addition to our family, I've gone through and updated my profiles on my social media sites and replaced the words "soon-to-be grandma" with "Grandma." Yay! I've also updated my genealogy database as well. It was so much fun to add our new grandson's name to my Legacy Family Tree database. Our daughter, son-in-law, and new grandson live in another state. Last week we visited them and my husband and I were able to meet our sweet little grandson in person for the first time. Of course I took tons of pictures. And I wish I could share a photo of our adorable little grandson with you, but for privacy reasons, I won't be able to do that. You'll just have to take my word for it that he's just the cutest little guy. Being a grandma is awesome!